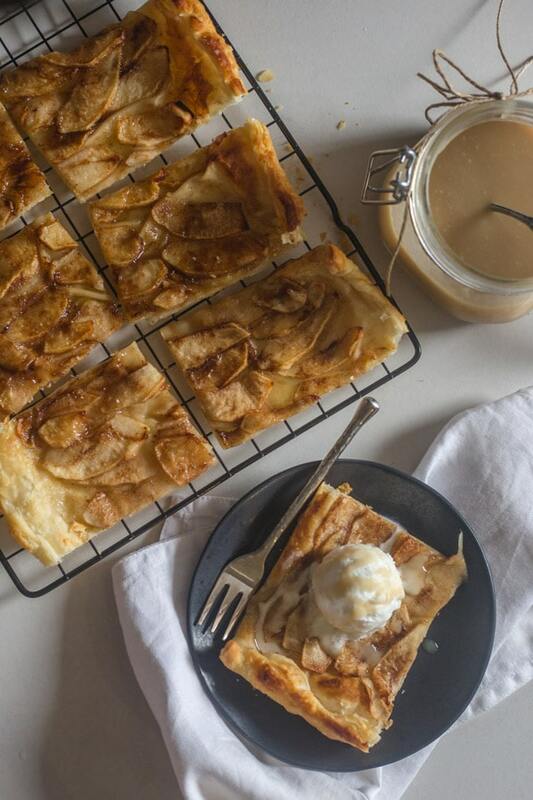 This delicious Apple Tart is made with only 5 ingredients, a simple, fast and easy dessert. Add a scoop of ice cream and a drizzle of caramel sauce. Perfect! 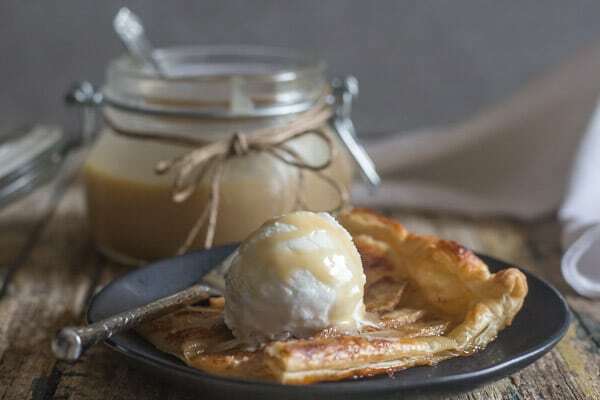 This is one of my family’s favourite desserts, a scoop of my No Churn Vanilla Ice Cream and a drizzle of Homemade Caramel Sauce and you have a delicious dessert for family or guests. I have been on a Puff Pastry Craze for quite awhile now. Our favourites are Sporcamus and Chocolate Pastry Bread. 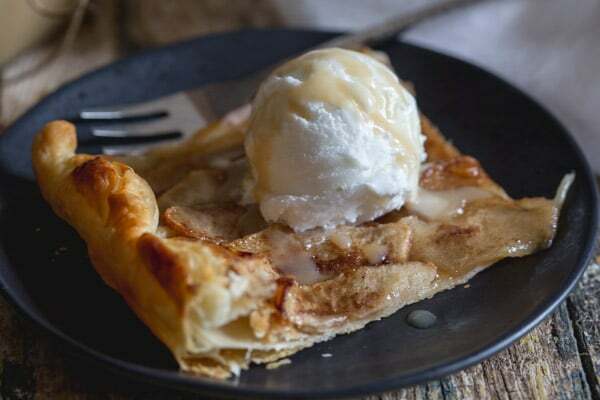 I love how this Apple Tart whips up into such a fast and easy Dessert. 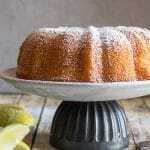 That believe me, gets eaten up faster than any This-took-me-forever-to-make kind of Cake! 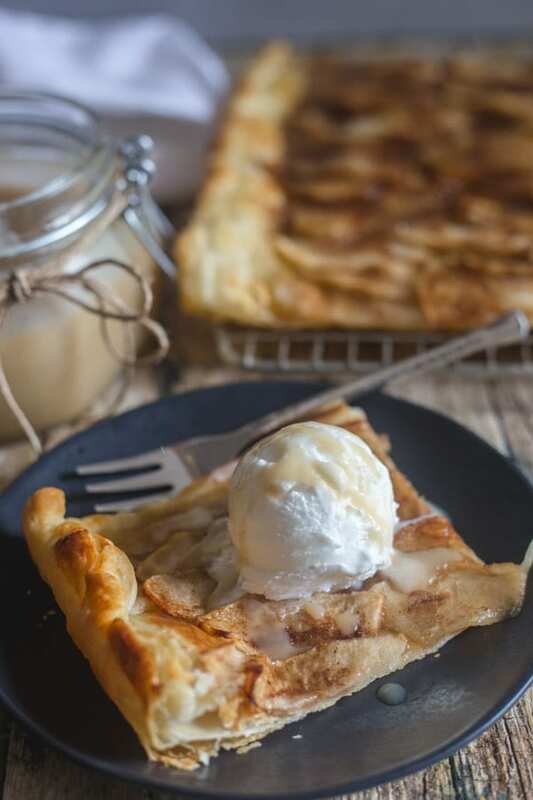 This Delicate Rustic Cinnamon Apple Tart, is made with only 5 ingredients. It takes about 10 minutes to put together and bakes in about 20 minutes. I have to tell you that I have made this tart at least 3 times in the last 2 weeks and every time they were gone in minutes. I was lucky to even get a taste! You don’t want an overly juicy apple or your pastry will be soggy so any one of these apples would work Empire, Gala, Golden Delicious, Granny Smith, Gravenstein, Honeycrisp or my absolute favourite Fuji. In Italy now there are a wide selection of apples, when I first came I think I had a choice of one or two! But my two favourite baking apples are Fuji and Gala and if I have to I’ll reach for a Golden Delicious. 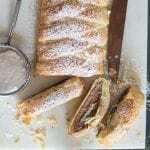 This is the perfect dessert to make when you don’t have much time, so therefore I like to use store bought puff pastry. 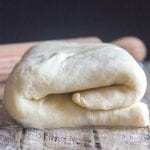 But if you prefer to make your own, then this Homemade Puff Pastry is easy and very good. What is the difference between a Pie and a Tart? A Pie is always round, a Tart can be round, square, rectangle pretty well any shape. A Pie crust is flaky, a Tart crust is firm or crumbly. Pies can have a bottom crust only, a top crust only or a top and bottom crust, whereas a Tart has only a bottom crust. Instead of sprinkling the cinnamon mixture on the sliced apples I mixed it all together, that way the apple slices were definitely coated well. Don’t slice your apples too thick or they won’t bake perfectly, too thin and they could burn. 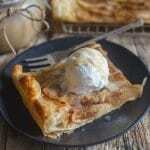 This is really delicious warm, the combination of the cinnamon, brown sugar and apple makes its own syrup. So yummy! You can eat these on their own or add a scoop of your favourite ice cream, and why not drizzle a little caramel sauce on top! Let me know if you make them and if you enjoyed them as much as we did! 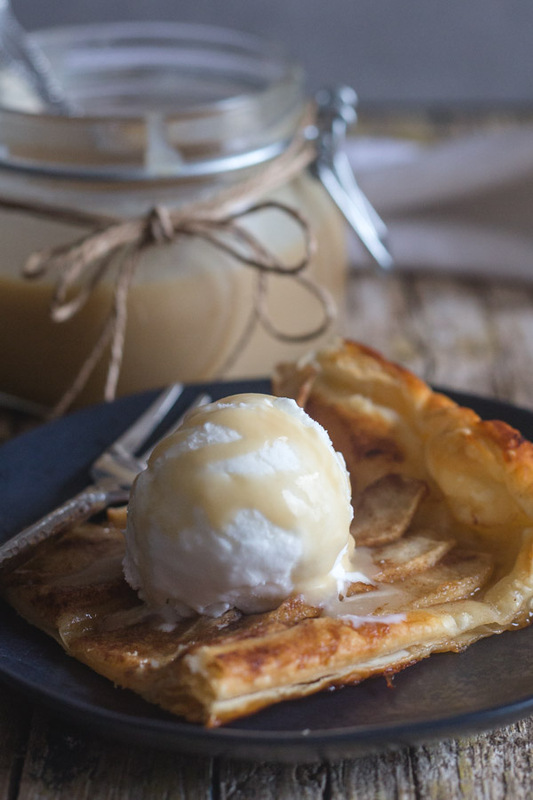 This delicious Apple Tart is made with only 5 ingredients, simple, fast & easy dessert. Add a scoop of ice cream & a drizzle of caramel sauce. *If frozen let thaw completely. Pre-heat oven to 350° (180° celsius). Line a cookie sheet with Parchment Paper. 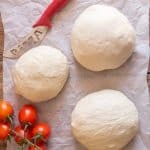 Roll out the puff pastry, and gently roll a couple of times with a rolling pin, then fold over the edges (1/2 inch 1 1/2 cm) to form a border, brush the pastry with 1 or 2 tablespoon of milk and prick the dough with a fork. In a small bowl combine well the brown sugar and cinnamon. 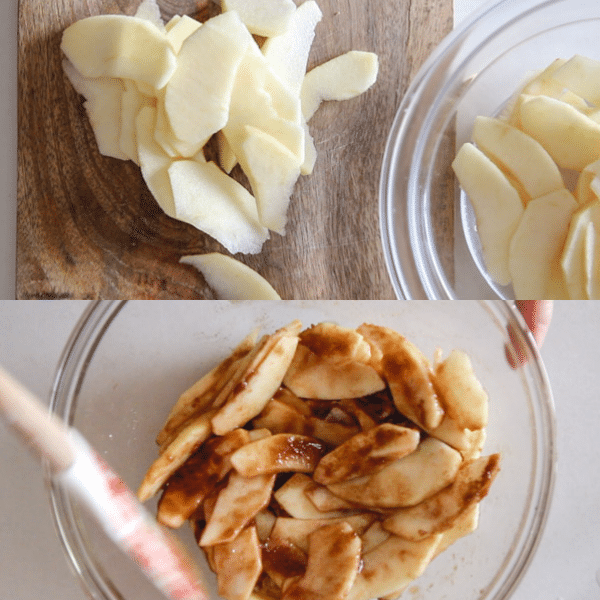 Coat well each slice of Apple and place one slice on each square. Sprinkle remaining brown sugar mixture on each square. Bake for approximately 20 minutes or until golden. Let cool slightly and serve warm if desired. Enjoy! Peel and core the apples and thinly slice (not paper thin), toss with lemon juice, add the melted butter and cinnamon mixture, toss gently to coat the slices. 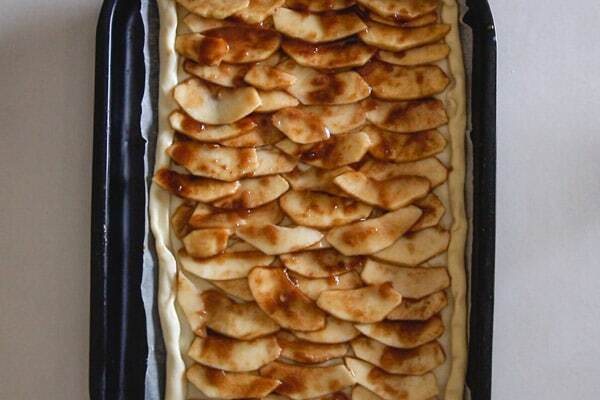 Line the pastry with the sliced apples, drizzle any remaining mixture in the bowl on the apples. Bake for approximately 20-25 minutes or until golden and cooked. Serve warm with a scoop of ice cream if desired. Enjoy! Updated from October 6, 2016. Thanks for reminding me of these! Everyone always loves them and they’re such an easy sweet snack to make. Hi Monica, thanks and your welcome, have a wonderful Sunday. Hi Lee, thanks so glad you enjoyed them. Love the additions. Have a great day. These are so cute and delicious.